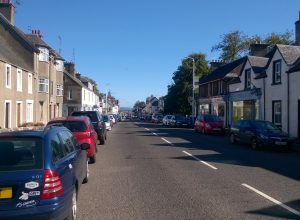 The High Street in Auchterarder is at long last free of roadworks. For the last few months works to upgrade the electricity supply have necessitated traffic signals in the High Street. This has caused noticeable delays and frustration to locals and visitors alike. This morning there are no more roadworks, no more delays and the town is ready to celebrate. It’s a great day to visit Auchterarder, the majority of businesses on the High Street are independents and you can be sure to find something different. With a wide range of clothing, shoes, gifts and food available it’s a fantastic way to spend some time in a traditional town centre. Butchers, Bakers, Grocers and a wealth of cafes and coffee shops give you the option of eating out or taking away. Breakfast, lunch, afternoon tea, all are available on the High Street. Why not visit Maries Little Cake Shop and catch up with Marie Campbell of Bake Off fame? Not only can you pick up some of her fantastic creations but Marie has extended her offerings to include breakfast rolls and light lunches. Don’t forget to order your cake for Mother’s Day. With free parking throughout the town and so many opportunities to enjoy traditional Scottish hospitality, it’s a great place to visit and enjoy. 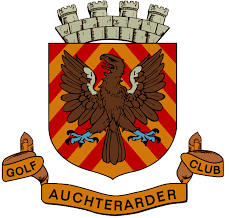 Situated just off the A9 between Stirling and Perth, Auchterarder is the perfect place to take a break from driving and relax. Come in from the A9 and spend some time.